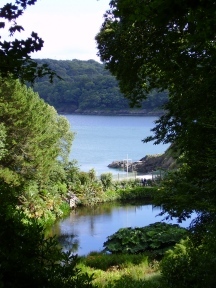 Extensively beautiful mature gardens of 25 acres, dropping south down the steeply wooded valley garden to a beach and the Helford estuary. 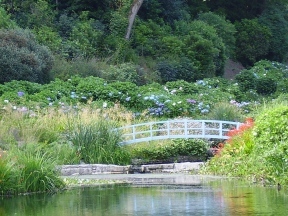 It was one of the Fox family gardens, first planted in the 1830's and now matured and designed to be a site enjoyed by all ages. 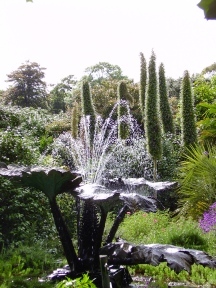 Rare and unusual trees and shrubs, many subtropical species, over an acre of hydrangeas, a jungle of giant rhubarb and much more. The unobtrusive path network runs along either side of the valley, on different levels, which gives the visitor lovely views into and out of the garden, above and amongst the tree-tops. Adults £7, Seniors £6, Children £2, under 5'sfree. 4 miles south-west of Falmouth, off A39.